West End LIVE is just 10 days away, which means it’s time to start thinking about your stagey weekend in London. Now, I’ve never actually been to West End LIVE because it’s around the time of a lot of family events (last year it fell on the weekend on my brother’s 21st) but this year I’ve managed to schedule my life to give myself the chance to experience it first hand. Whilst I’ve never attended, I’ve made it to similar events, including big fan rallies held in Trafalgar Square, so I know what to expect in general and I want to make sure you’re all prepared too – whether it’s your first or fourteenth West End LIVE. My first point isn’t the most important suggestion, but if you want to be near the front you will want to be there early. Gates open at 10:30am on the Saturday and 11:30am on the Sunday, and people will be there much before then. Most of the big shows perform on the Saturday before lunchtime, so if you want to see your favourites you’ll need to be there early anyway. It’s also worth noting that West End LIVE operates on a one-in-one-out policy once Trafalgar Square is full, so getting in between midday and 2pm on the Saturday in particular may be a struggle. Once people scatter to see their matinee bookings and the ‘big’ shows have already performed, it’ll get a little quieter meaning easier to get in and out of Trafalgar Square, as well as being able to move around to see all the stalls. Whether you get there early, or don’t arrive until midday, make sure you’re prepared for queuing. I know people who arrived around 10am last year and were queuing up to Piccadilly Circus – that’s almost half a mile. If you’re planning on getting there early, make sure you’ve factored that into your day in terms of food, drink and comfort. If you’re close to the start of the queue, you’ll be fenced in and it’ll be difficult to leave the queue for a comfort break. If you want an easy exit, you will need to make sure you are further back in the queue (preferably with people who are happy to hold your spot). I’m really bad at packing light when I go to London for the day, mainly because I usually have all my blogging gear with me. 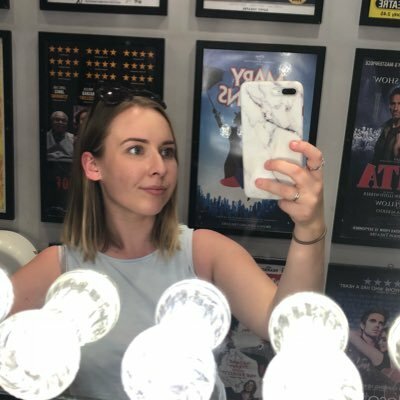 However, I know that at West End LIVE I’m not going to have the chance to write up a lot of content so won’t bother bringing my laptop (I might even leave my iPad at home, we’ll see). There will be bag searches at West End LIVE so the smaller your bag is, the less security have to look through and the quicker you’ll be admitted into Trafalgar Square. All you need is water and food (there is very little inside Trafalgar Square), money for merchandise, a suncream top up (see my next point) and a portable charger, because let’s be honest – you’re going to want to be posting all over social media about it! West End LIVE takes place in England, meaning the weather could do everything…and everything. Pack a fold-able rain coat (I’m a big fan of a pack-a-mack) or a disposable poncho, similar to those you’d buy at a theme park, but don’t forget sun cream too! It is June after all, and there is little-to-no shade in Trafalgar Square. I wouldn’t recommend packing an umbrella, mainly because they’re just a nuisance. They block the views of the people behind, and it’s very easy to injure someone with one. Even if we forget about getting there early and talk about the day itself, getting there from the minute it starts and staying until close, that’s 6 hours on your feet on the Saturday and 5 hours on the Sunday. That’s a long day to be on your feet. Jeans and t-shirt and some comfy trainers is definitely the way to go! Being a free event, West End LIVE attracts a lot of people. Bag searches are in action so you will be as safe as possible, but make sure you keep your belongings close. If you’re not convinced by the crowds but still want to get involved with West End LIVE, all of the performances are professionally recorded so you can watch them a few days after (this is also a huge benefit to people around you as you won’t need to record every single performance with your phone and get your arms in everyone’s way). You can also just go on the Sunday which is always far quieter, easier to move around and have a more chilled day if that’s what you’d prefer. West End LIVE is the perfect opportunity to catch a show, especially if you don’t make it to the capital too often. However, it’s a good idea to note that it’s going to be one of the busiest weekends for theatre in the capital. If there’s a show that you really want to see, get it booked in early, or if you’re going to be there early you could take the chance on day seats. I am yet to decide whether I’m going to see a show or not because I’m going to be at both days of West End LIVE which will be exhausting as it is. If you usually take a trip to the stage door after a show, it may be a little thin on the performer-front. West End LIVE is a really busy weekend for them, and they may not have time to get to the stage door or they might simply be too tired. A few final words are this: there is strictly no alcohol permitted at this event, the nearest tube station is Charing Cross but Leicester Square, Covent Garden, Embankment and Piccadilly Circus stations are less than a 10 minute walk each if they are more convenient for access. Full details can be found here if there is anything you want to double check about the event itself. And that’s everything I’ve got to say about it – hopefully see you there?